THE PROTAGONISTS are two men more alike than different, despite their placement on opposite sides of the savage, bloody and short-lived ‘Titokowaru’s War’ in the Taranaki, New Zealand, 1867-69. 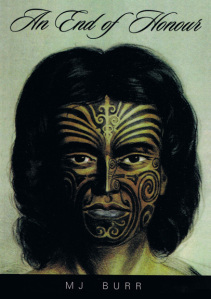 Titokowaru – is warrior, priest and a man of two worlds, who fights to defend land and people from settler incursions and the rapacity of those who claim the Taranaki in the settlement period. Haunted by self-doubt, tormented by the weight of responsibility he feels towards his people, he vacillates between hostility and collaboration as he searches for a way of accepting the inevitable with honour. John Selby Hunter –is a Civil War cavalryman immersed by his Virginian upbringing in the codes of duty and honour. In fact he is in New Zealand by that very circumstance, where the charismatic Governor George Grey persuades him that his talents can play a major part in the shaping of New Zealand’s destiny. As that part unfolds, Hunter becomes aware that expedience and honour are uneasy bedfellows. THE STORY, CHARACTERS & EVENTS owe much more to fact than fiction. As the detailed ‘Author Notes’ section makes clear, most of the people in it, whether soldiers, administrators, kingitanga leaders or warriors, not only lived, but held attitudes much akin to those they express in the story. The narative also follows the historical record, and at the end it offers an intriguing answer to the longstanding mystery of why, on the very edge of his most crushing triumph, an undefeated and rampant Titokowaru walked away and into the oblivion from which only Professor James Belich’s scholarship has recently resurrected him. An End of Honour moves from the Musket Wars battlefields of Taranaki to the campaigns of the American mid-West and back again to the Land Wars via the society of colonial Auckland. Told by an historian-turned-novelist, it’s the story of two highly-principled men who see beyond division, race and greed to find unity in the thought that, if one has no honour, one has nothing.